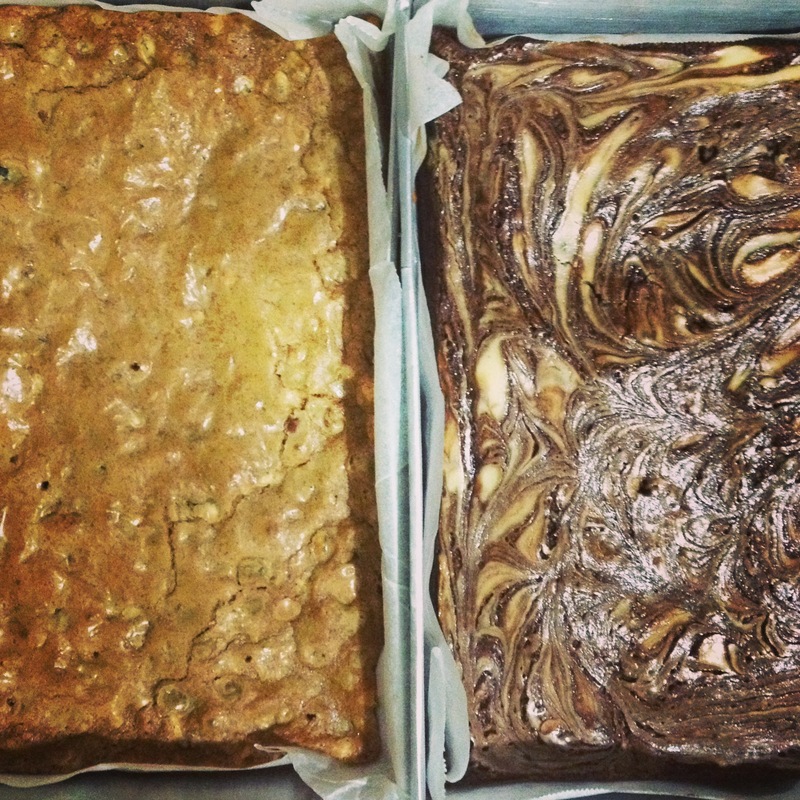 Here’s the recipe for the best cream cheese brownies ever. It’s adapted from Baking Illustrated, which I think is the ultimate baking bible. 1. Preheat the oven to 325F and butter an 8-inch square pan. Set aside. 2. Mix the flour, baking powder and salt in a small bowl. Set aside. 3. Put the chocolate and butter in a large microwaveable bowl. Microwave at 50% power in 30 second increments or until completely smooth and melted. Let mixture cool. 4. Mix in sugar, eggs and vanilla extract to the chocolate mixture. Make sure to add eggs one at at time. Fold in the dry ingredients and mix until just incorporated. 5. Pour batter into the prepared pan but set aside 1/2 cup of the batter. 6. For the cream cheese layer, beat the cream cheese, sugar, egg and vanilla extract until smooth and well-blended. 7. Pour the cream cheese batter evenly over the brownie batter. Spoon small dollops of the reserved brownie batter on top of the cream cheese filling. Run a knife or a skewer through the two batters to create a marbled effect. 8. Bake until the edges are puffy and the cream cheese filling is just starting to brown, around 50-60 minutes. Few, moist crumbs should stick when a skewer or cake tester is inserted in the middle. Remove from oven and let in cool in a wire rack for at least two hours. Refrigerate overnight then cut into squares. 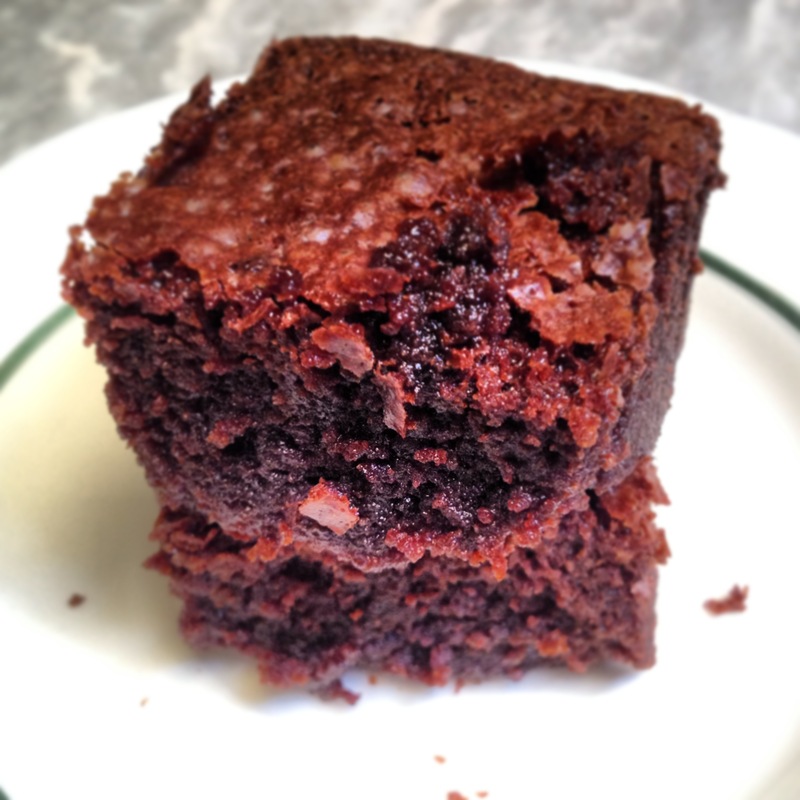 These brownies can be stored in an airtight container in the fridge for about 5 days. Totally awesome. Unfortunately, I only got to eat few pieces each since these were for my mom’s friends. Lucky them. So back to the peanut butter chips. I don’t know what to to do with them, but I have already spied on some food blogs and peanut butter blondies seems to be the best thing to do next. I also have some cream cheese bricks here. I went to the grocery yesterday again and I saw that there was a buy-1-take-1 promo on them. These babies are going to expire on March 31st though, explaining the sale. I bought some cornmeal too, plus Oreos and pancake mixes. Ah, my love for grocery window shopping and the actual shopping is endless. Too bad I get broke afterwards. 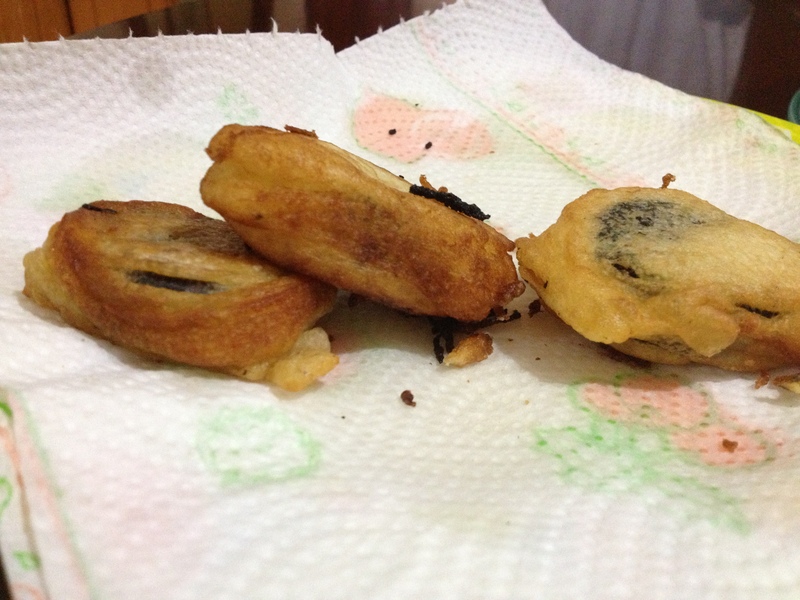 I just dipped them into the batter and fried them (not deep-fried, didn’t have enough oil at home). I don’t know how to make the batter stick to the cookies, though, that’s why they ended up looking like that. Peanut butter chips for peanut butter blondies. Check. Cream cheese bars for individual cheesecake cups. Check. I just have to buy milk, eggs, sour cream and more butter. I love buying and stocking up on butter. On another note, since I have been searching the Internet for recipes for the past few days, I occasionally stumble upon local food blogs talking about the local dining scene. From home-cooked meals, to fast-food dining and now to eclectic, specialized restaurants, it’s nice to know that the people here are becoming more adventurous and maybe mature when it comes to food. There are burger bars, ramen bars, all-day breakfast restaurants popping up all around the metro. And here I am, wishing that I can try them all. I don’t mind shelling out extra money to eat because in the end, it’s the experience that will make these things memorable. Actually as I type this down, I’m imagining myself sinking my teeth into some juicy burger patty (I hate buns, I just want to eat the meat). Food. Food. Food. I’m posting recipes for the next entry. FOOD. I find making homemade caramel sauce quite difficult. I have tried making my own when I was on my ‘salted caramel’ everything phase and it was a disaster. I can’t buy the canned stuff because caramel is something that can’t be found easily on this side of the world. Caramel syrup is everywhere but the sticky, gooey stuff is elusive. I have searched the interwebs for other ways to make caramel sauce and luckily, I have found two easier alternatives. The first one involves dark brown sugar and boiling all the ingredients for around 3 minutes. The other one, which is quite more expensive, is buying Kraft caramel candies (who knows we have these candies in the supermarket?!) and melting them with milk or heavy cream. Last week, I made caramel sauce using the Kraft candies as a topping for my chocolate malt cupcakes. They tasted okay but the caramel just flowed on the sides of the cupcakes and most of it went under the cupcakes instead. Fail. I had some leftover caramel sauce, so today I decided to make caramel cupcakes. 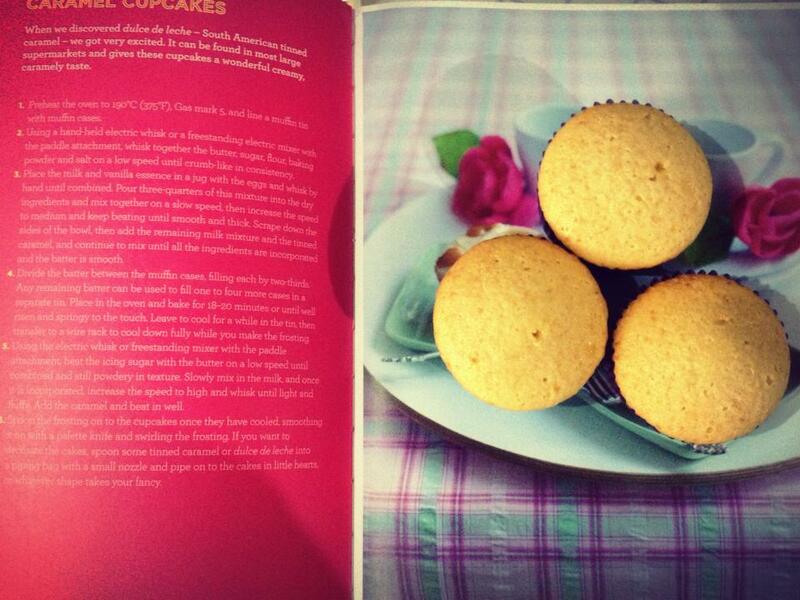 The recipe is from The Hummingbird Bakery’s cookbook Cake Days. The recipe states that the yield is 12-16 cupcakes but I have gotten 22. The notes on the back of the book say that they use a 50ml scoop and that’s the same scoop that I have. The ingredients are also listed in weight, which is really easier as you can just put a bowl on top of your digital scale and then weigh away. Anyhow, those 22 cupcakes are now down to 11, six hours after baking them cupcakes. My mom, who is my most highly regarded critic, says that these cupcakes are almost perfect. Not bad, eh? 1. Preheat the oven to 375F or 190C. Line a muffin pan with liners. 2. Mix together the butter, sugar, flour, baking powder and salt using a hand-held whisk or stand mixer on low speed until crumb-like in consistency. 3. Mix the milk, vanilla extract and eggs in a small bowl until combined. 4. Pour 3/4 of the milk mixture to the dry ingredients and mix until combined. Pour in the remaining 1/4 of the milk mixture and the caramel sauce and mix until incorporated and the batter is smooth. 5. Scoop into the muffin pan and bake for 18-20 minutes. Cool cupcakes in the muffin pan on a wire rack for about 5 minutes. Remove from pan and place on wire rack to cool further. 6. Serve and smile! 🙂 Best eaten with a tall glass of cold milk! It’s hump-day Wednesday on this side of the world! It’s 10AM here and I’m thinking of what to cook for lunch. I’m on the last week of my three-week long staycation and I’m already dreading the coming Monday! Last week was pretty busy. I had my last few days of driving lessons (manual really is hard!). Thursday last week turned out to be really crazy, given the amount of alcohol I had ingested that night. I was supposed to go to a party last Friday but plans changed the last minute and I ended up sleeping instead. Good thing the party wasn’t that fun (according to the rumor mill ) – it turned out to be one drama-filled party. Now, I present you my take on calamansi muffin (or cupcake, whatever, they look similar to me LOL). Calamansi is our local version of lime and lemon. It probably tastes more like lime than lemon though. Calamansi is usually used while it’s still in its unripened state (green in color). It’s used to flavor drinks, cakes, etc and it’s also used as a condiment. It gives food some kick to it. 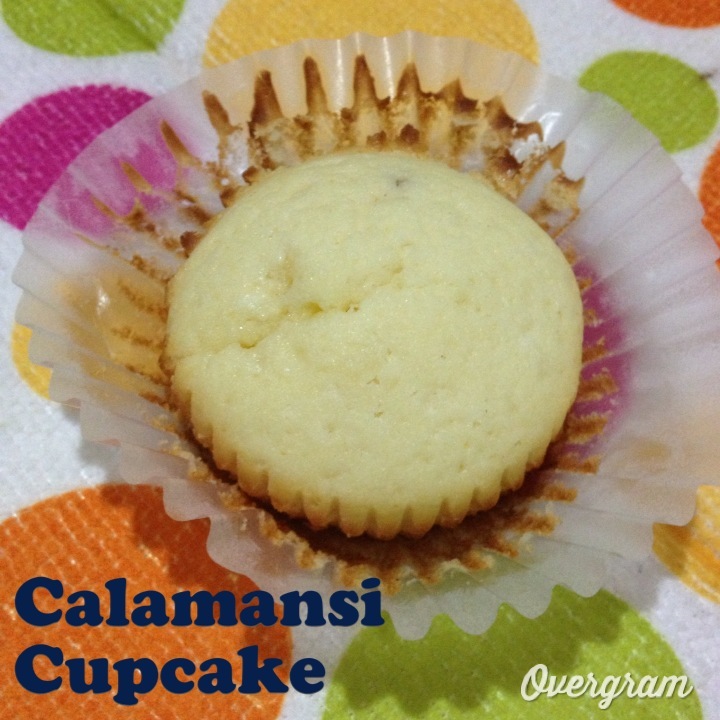 Pepper.ph made a food hack of the calamansi muffins found in probably one the best beaches in the world, Boracay. I have never been there and I don’t have plans of going there soon. I’m not a beach person because I’m half blind and I’m deathly afraid of riding small boats. You need to ride those small boats to get to the island. If the government puts up an airport on the island itself, then maybe that’s the time that I’ll think of going there. So why cupcake? I used cupcake liners for this recipe because I didn’t want to bother with cleaning my muffin pans. It wasn’t a bad idea actually, it was just that the sides didn’t turn out as golden as the ones on Pepper.ph’s photos. Mine were pale, like vanilla cupcakes but boy, they tasted amazing! 1. Preheat oven to 350F. Line a 12-cup muffin pan with liners. But if you want that golden hue and crust on the sides, grease well the muffin pan holes and put the batter directly to the pan. 3. Combine calamansi juice and milk in a small bowl. 4. Cream butter and sugar on medium speed for about 3 minutes. Add eggs, one at a time. Make sure to mix thoroughly between additions. 5. Alternately add the dry and wet ingredients to the creamed mixture, starting and ending with the dry ingredients. 5. Scoop into the muffin pan and bake for 18-23 minutes. Mine were okay at 19 minutes. 6. Cool cupcakes in the muffin pan on a wire rack for about 15 minutes. Remove from pan and place on wire rack to cool further. These can be stored on air-tight containers for about three days. Best eaten on the same day of course! If you check Pepper.ph’s photos, you’ll see that the sides of their muffins are golden. You can achieve this by doing away with the liners and putting the batter directly to the muffin pan. The heat will give them that crusty, golden look. Happy Monday to everyone who’s in the same side of the world as I am! I have been hibernating for a week now (I’m on a three-week long staycation) and my days have been quite productive. For starters, I have enrolled in a driving school and yes, I can now more or less drive a manual car! Driving is quite a daunting task, especially here in our country. We have crazy drivers, rough, pothole-filled roads (yeah I just drove on one long stretch of said road this morning) and crazier pedestrians who will risk their lives crossing the highway instead of using the overhead bridge. Funny thing is I’m learning on a manual but our car is an automatic, so I don’t know… I don’t think it’s a waste of time but I won’t be able to practice my manual driving skills after driving school ends on Thursday. 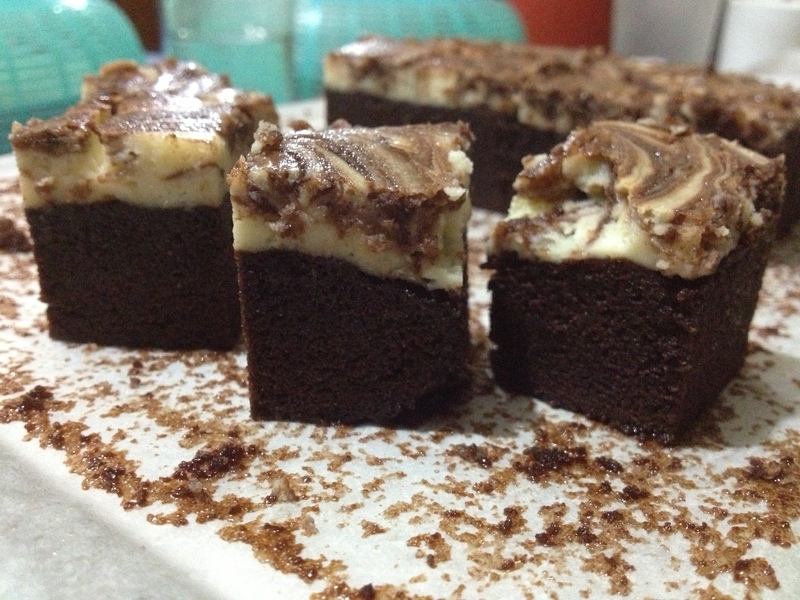 Last Saturday, I was browsing through food blogs and looking for something to bake. I had just baked cupcakes the week before, so I decided on making brownies instead. A lot of the food blogs I have read proclaimed this brownie as the best brownie ever. And yes, this brownie recipe didn’t disappoint. The recipe was from Baked: New Frontiers in Baking by Matt Lewis and Renato Poliafito. The brownie was moist, rich, dense and very chocolate-y (hello 11 oz of chocolate plus cocoa powder!). It wasn’t crumbly and dry like the other brownies I have tried before. It was really one awesome brownie and I’d definitely bake it again and again and again. Everyone here in our house couldn’t get enough of it too! 1. Preheat oven to 350F or 180C. 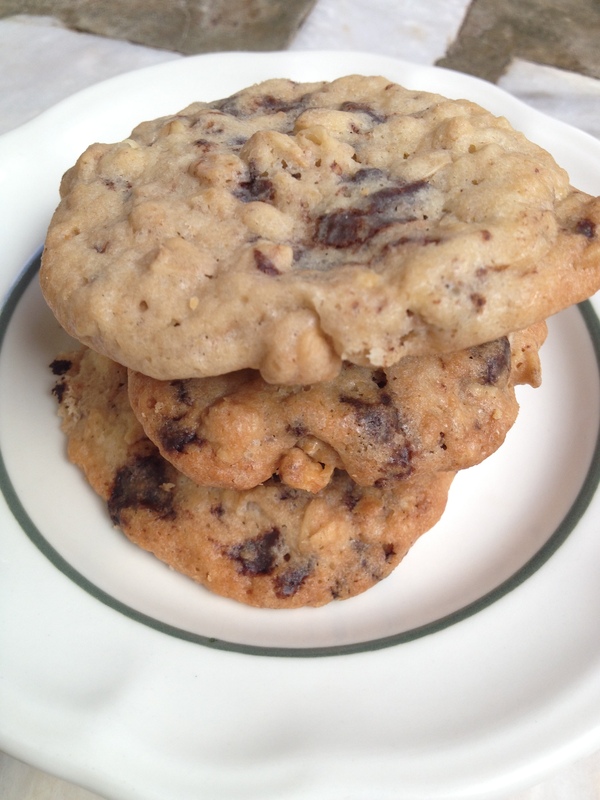 Line a 9×13 pan with parchment paper or aluminum foil. 2. Melt butter, dark chocolate and coffee powder in a heat-proof bowl set over a saucepan with simmering water. Once melted, turn off heat and stir in the white and brown sugars. Let it cool to room temperature. 3. Sift flour, salt and cocoa powder in a small bowl. If you’re lazy like me, you can just dry-whisk the mixture. 4. Once the melted chocolate mixture has come to room temp, add in 3 eggs and stir until combined. Add the last 2 eggs and mix until incorporated. Add the vanilla extract and stir. 6. Spread batter over the pan and bake for 30 minutes or until a toothpick inserted in the middle of the brownie comes out with few moist crumbs. Make sure to rotate the pan halfway through the baking time. Let cool in a wire rack for 30 minutes then cut into squares (or whatever shape/size you like). Here’s to a positive week ahead! Aja! 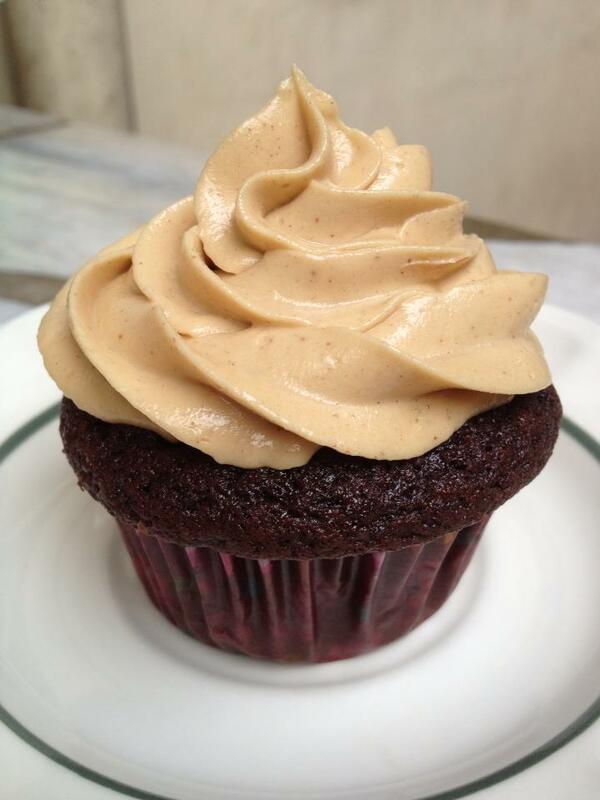 Dark chocolate cupcakes with peanut butter frosting! These cupcakes are insanely rich, moist and delicious! These are by far one of the best cupcakes I have ever made. Plus the peanut butter frosting is to die for! Preheat oven to 350F. Line a standard-size muffin pan with cupcake liners. Combine butter, chocolate and cocoa in a heat-proof bowl. Set bowl over a saucepan with simmering water (bowl’s bottom should not touch the water) and heat mixture until chocolate and butter are melted. Whisk until smooth. Set aside to cool. Whisk flour, baking soda and baking powder in a small bowl. Set aside. Add eggs to the chocolate mixture, whisk until combined. Add sugar, vanilla and salt and whisk again until incorporated. Alternately add the flour mixture and the sour cream, beginning and ending with the flour. Mix batter until homogenous and thick. Divide the batter evenly. Pop in the oven and bake for 18-20 minutes, or until skewer inserted into center of cupcakes comes out clean. Cool cupcakes in the muffin pan on a wire rack for about 15 minutes. Remove from pan and place on wire rack and cool for 30 minutes before frosting. Combine the powdered sugar, peanut butter, butter, vanilla and salt in a bowl of an electric mixer. Mix on medium-low speed until creamy. Scrape down sides of bowl as you work. Add the cream and beat on high speed until mixture is smooth.